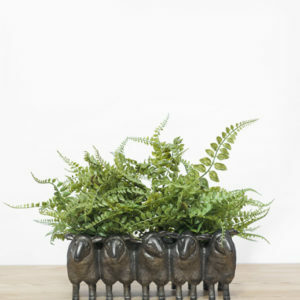 Our Eider Duck Feet Planter is a whimsical, fun display of everyone’s favorite water bird! We adore this rusty metal planter because it adds a pop of fun to our garden decor. The peek-a-boo duck feet are hilarious with a flowing fern or ivy hanging beside them. 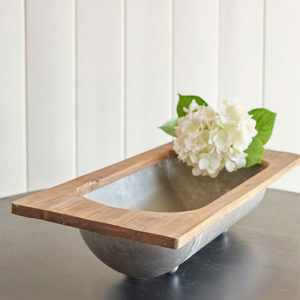 Use it as a spunky display for live plants, faux plants or fresh cut flowers! We even like to throw our gardening gloves and small shovel over the side of it for cute organization. Our favorite use so far has been in a playroom filled with crayons, toys or flowers! 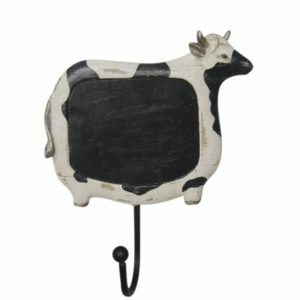 Because of the sturdy metal frame, this product is suitable for the great outdoors. Planter pot measures 5″ H x 5.75″ Diameter.